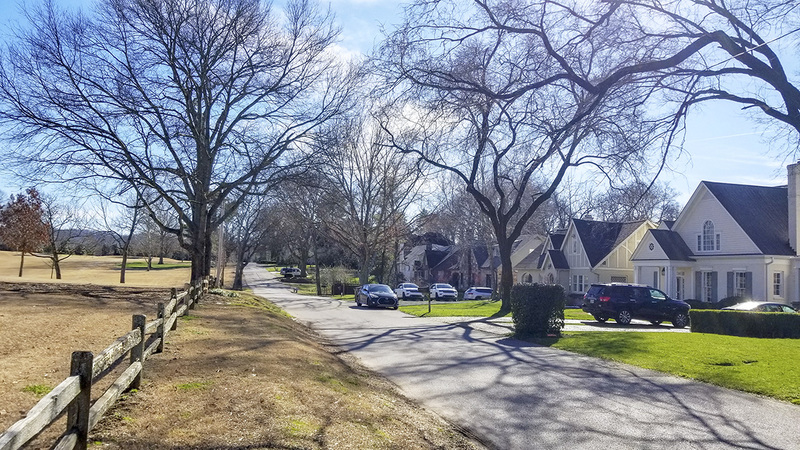 Developed between 1915 and the 1950s, this community southwest of Nashville is one of the city’s few surviving examples of a planned subdivision in the wake of the City Beautiful movement. 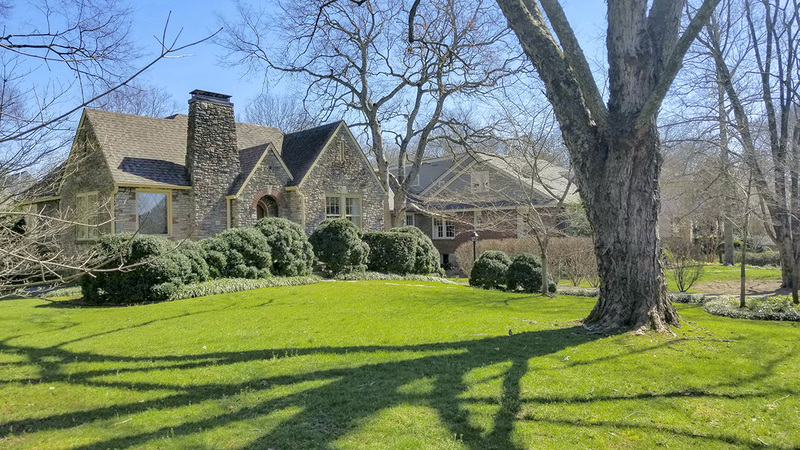 In 1906 the 2,600-acre property, composed of rolling, treeless bluegrass fields crossed by Richland Creek, was acquired by the Bransford Realty Company after the dissolution of Belle Meade Plantation, the famous horse-breeding farm. Johnson Bransford hired landscape architect O.C. 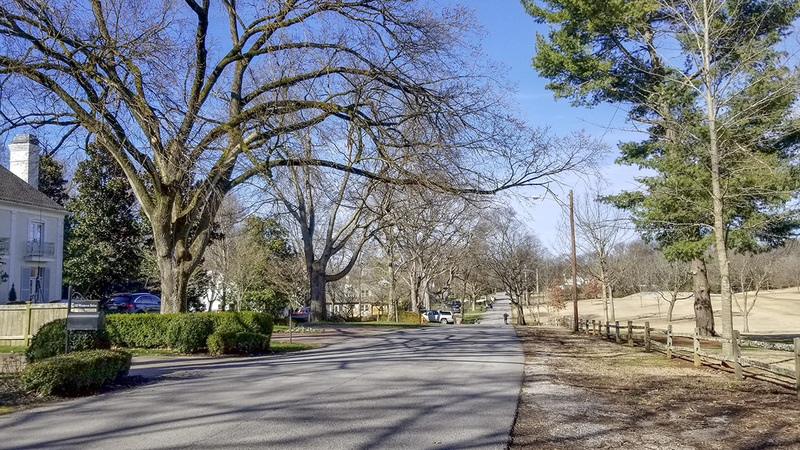 Simonds to lay out a new residential development on 43 acres. The plan created by Simonds and James Roy West featured a triangle within a teardrop-shaped site, demarcated by four gently-curving streets tucked into the low ridges of the undulating terrain; individual properties were allotted five to fifteen acres. Three small community parks were created from triangular or fan-shaped spaces at street intersections. 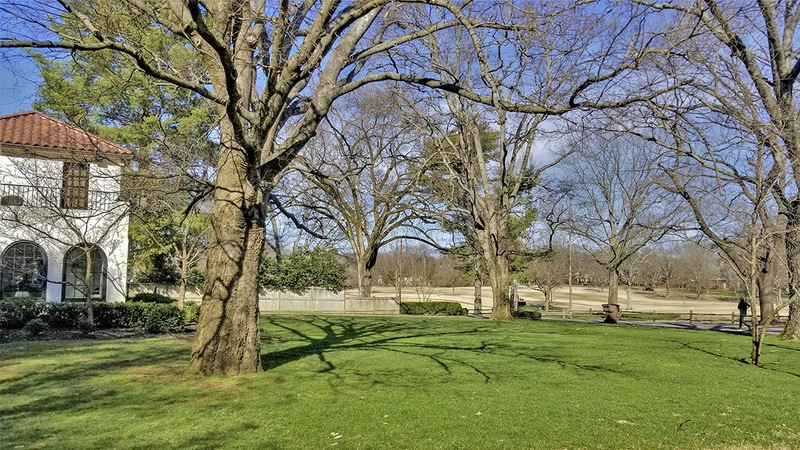 Elms, maples, ash, and hackberries were planted at 30-foot intervals along the streets, which were paved and graded to accommodate automobiles. 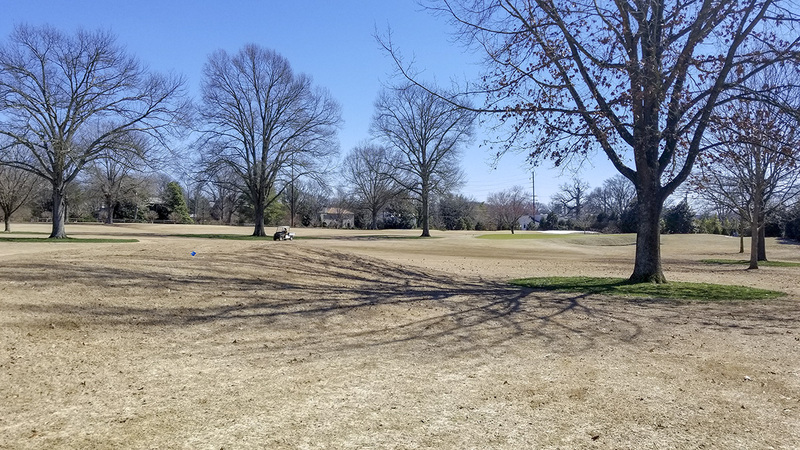 Property sales began slowly, so the Nashville Golf and Country Club was offered acreage within Belle Meade in the hopes of spurring private development. 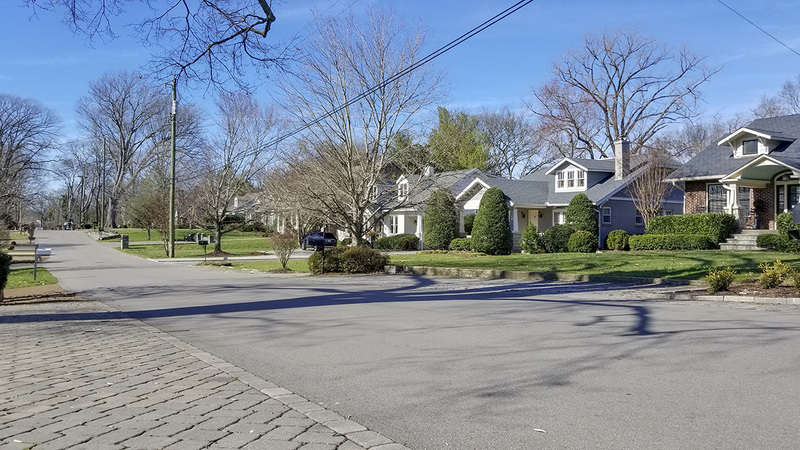 With the country club’s relocation in 1915, the suburb, renamed the Belle Meade Golf Links, was reconfigured into 161 lots, each one-third acre with small houses, usually in the Craftsman or Tudor Revival style. The subdivision was listed in the National Register of Historic Places in 2004.